A handy soluble format which includes all the benefits of the non suluble version. 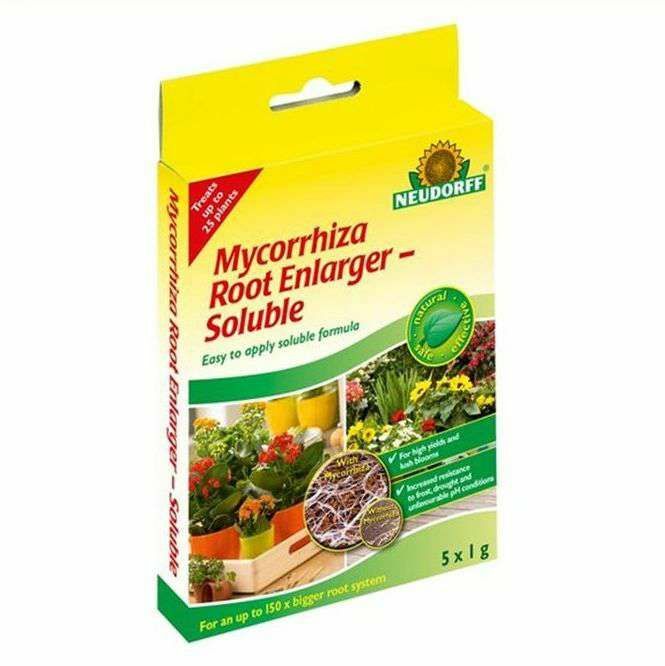 Helps to increase the size of the root system by up to 150%. Increase the strength of your plants to help protect them against pests and diseases. 5 x 1g is sufficient for approx 25 plants. 1 Pack includes 5 x 1g sachets.